Meeting the needs of patients while minimizing blood transfusions requires special expertise, precise monitoring and innovative techniques. 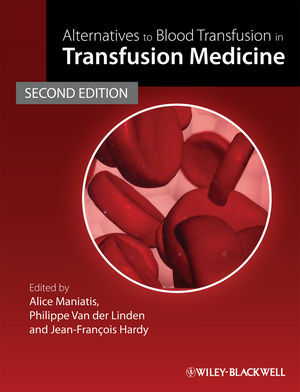 This cutting-edge resource covers all the important clinical aspects of transfusion medicine in diverse clinical settings, with a special emphasis on alternatives to transfusion. 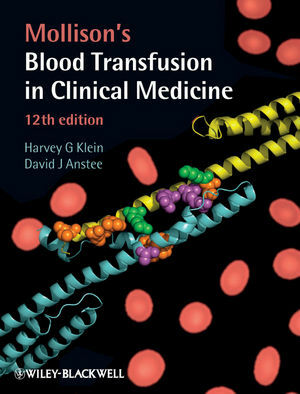 The new edition is a key reference source for all those involved in the practice of blood management and conservation. Professor Alice Maniatis, Haematology Department of Internal Medicine, University of Greece, Athens, Greece and former President of Network for Advancement of Transfusion Alternatives (NATA). Dr Jean-Francois Hardy, Department of Anesthesia, Montreal Heart Institute, Quebec, Canada and on the Board of Directors of NATA. Dr Phillipe van der Linden, Department of Anesthesiology and Intensive Care, Brussels, Belguim and on the Board of Directors of NATA. Promotes better and more effective use of blood products and transfusion alternatives in clinical practice.